All vessel services interconnected by the brand new NAVICO-NAVIOP network. Navico, the world’s largest recreational marine electronics company and Naviop, international leader in monitoring and control systems for yachts and luxury Megayachts, today announced the launch of a powerful new partnership. The companies will bring together their technology expertise to further develop state-of-the-art solutions for displaying and controlling sophisticated navigation, monitoring and control systems. The new network will connect all vessel services with a single touch. The two companies also aim to expand their range to cover the demands of the broader production and volume boat builders. 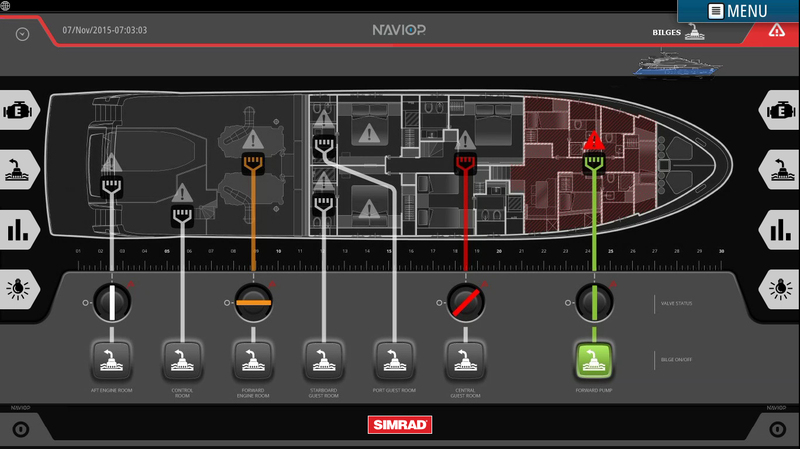 As a result of the partnership, Naviop’s network will be accessed through Simrad’s glass bridge via an icon on the home screen. 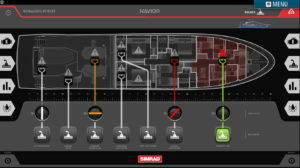 The system will be connected directly to the equipment on the yacht or via a Naviop interface. 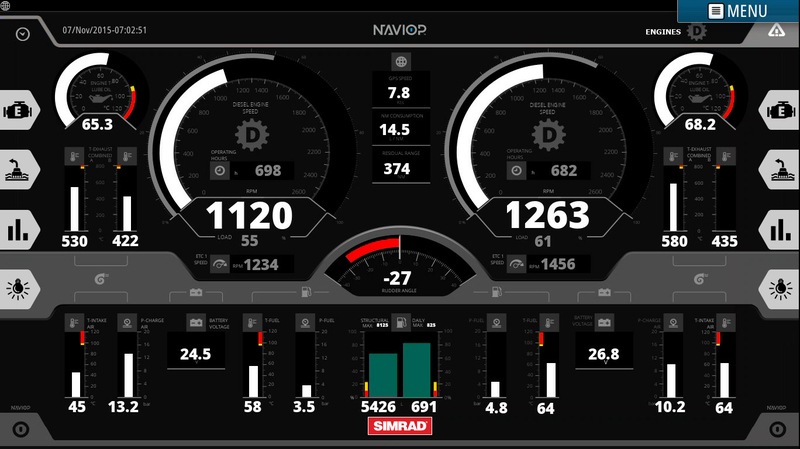 The ability to use Naviop’s monitoring and control system with the Simrad glass bridge range will enable Captains or boat owners to work with yacht manufacturers to develop customized management systems, with a personalized clear and easy-to-use user interface with touch screen controls. Thanks to Naviop’s extensive experience in developing marine and industry communication protocols and its testing and verification processes, accessing the Naviop network enables users to monitor, manage and control key functionalities such as engines, generators, trim and flaps, lighting, navigation lights, fuel consumption, air conditioning, entertainment, tankage, power plant, security, bilge pumps, batteries and other vital services on board. 17/18/19 November 2016. The RAI Amsterdam, Europaplein, 1078 GZ Amsterdam, Netherlands.